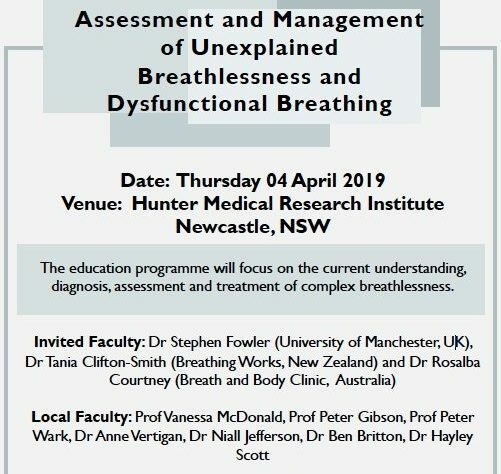 We would like to invite you to the Workshop on the Assessment and Management of Unexplained Breathlessness and Dysfunctional Breathing; a full-day education programme, to be held on Thursday 04 April 2019 at the Hunter Medical Research Institute in Newcastle, NSW. This education programme will focus on the current understanding, diagnosis, assessment and treatment of complex breathlessness. We are pleased to announce international and local speakers including Dr. Stephen Fowler (The University of Manchester, UK), Dr. Tania Clifton-Smith (Breathing Works, New Zealand) and Dr. Rosalba Courtney (Breath and Body Clinic, Australia) will be part of the programme’s faculty. A small number of bursaries are available for nursing and allied health clinicians. Funds will support economy airfares and one-night accommodation. Bursary applications are due 01 February 2019. We look forward to welcoming you to this event. Please contact us for further details or go to our website for further information on the workshop and to download the bursary application form: https://www.severeasthma.org.au/breathlessness-workshop/. Please secure your place by emailing severeasthma@newcastle.edu.au. Registrations close 10 February 2019. This activity is funded by the Centre of Excellence in Severe Asthma.  There is no registration cost to participants.